A one-woman, multi-character show opens at Open Stage Theatre ... and Lily Tomlin solos at the Benedum. With no props but a push-broom and a handkerchief, Gregory -- at 53 a seasoned presence on the local stage -- will be the first actor other than the playwright herself to perform this bittersweet comedy about being a teaching artist at a Bronx high school. The popular and critically lauded 2006 play tracks the idealistic Sun's efforts to get marginalized, often balky students to stage Our Country's Good, Timberlake Wertenbaker's 1988 play about 18th-century Australian convicts ... who in turn are staging the classic 1706 comedy The Recruiting Officer. While its storyline suggests postmodernist possibilities, No Child has more in common with classroom dramas tracing back to To Sir, With Love -- even as it pointedly compares the school system to the prison system. Through it all, Gregory will embody the proud old janitor; the officious Jamaican security guard; an imperious Russian teacher; frazzled, hopeful Sun herself; and nearly a dozen kids, from bling diva Shondrika to husky-voiced, melancholy Philip. In one scene alone, Gregory portrays seven students and two teachers. Maslow directs. 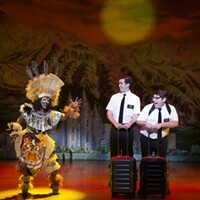 Gregory, a Pittsburgh native and 30-year airline attendant, has done one-woman shows before -- but usually by playing one woman, Sojourner Truth. For the voices, gestures and postures of the kids, she's drawing on her experience as a mother (she has a son, 21) and as head of the junior-high performance program at Pitt's Falk Laboratory School. "I love anything that has to do with youth," Gregory says of No Child's social themes. Of its characters, she adds, "They all deserve a voice, they all deserve to be heard." It's a week for one-woman, multi-character shows. Admittedly a little higher-profile than No Child ... is An Evening of Classic Lily Tomlin, on Sat., Feb. 7, at the Benedum Center. From Laugh-In to Nashville, from 9 to 5 to I [Heart] Huckabees and The Search for Signs of Intelligent Life in the Universe, Tomlin has long shuttled between mainstream success and edgier material (and between the live stage and big and small screens) as well as anyone. 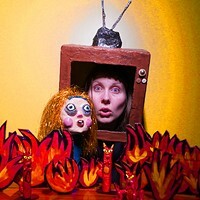 The touring show is marketed as a "greatest hits" revue of Tomlin's familiar characters: Edith Ann, age 6, in her oversized rocking chair; telephone operator Ernestine; small-town Indiana mom Judith Beasley; and Trudy, the schizophrenic bag lady Tomlin made indelible in The Search for Signs ..., her acclaimed, darkly comic solo show, written by Jane Wagner. Tomlin (who turns 70 this year) will also recall her own childhood, in Detroit.